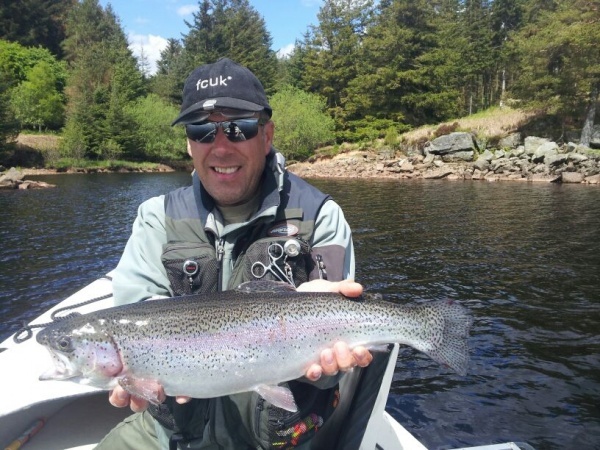 Kielder Water is a boat fishery, and with over 2,000 acres of water to explore you can try a different spot every time you fish. With a fleet of 15 fully equipped motor boats, the huge lake offers exhilarating fishing for both enthusiast and competition anglers alike. Bank anglers are spoilt for choice when it comes to choosing a spot with access to around 20 miles of shoreline along the Lakeside Way. Please check with the on site rangers for further details. Fontburn Reservoir (NE61 4PL) is a smaller water and has a reputation as being a friendly, family orientated fishery. It is located within easy reach of Tyneside and offers top class fishing for fly and bait anglers alike. Many of Fontburn’s trout are stocked from our own on site fish farm. Fishing with Northumbrian Water offers many benefits including: Free fishing for under 17s* Two children under 17 years of age can go fishing for free on a parent or guardian day permit costing £25. Family permits are also available allowing any number of children aged under 17 years to fish for £39. Loyalty card Come fishing seven times and your eighth visit is free. That’s a saving of £3.57 per visit and there’s no limit to the number of times you can claim. Register for your free loyalty card in the fishing lodge and swipe it on each visit to receive your free day's fishing.